Since the days of the sainted Edward R. Murrow, the first rule of TV newswriting has been Say Cow, See Cow. It’s also a pretty good rule of thumb for print media. But not so much in today’s local dailies. 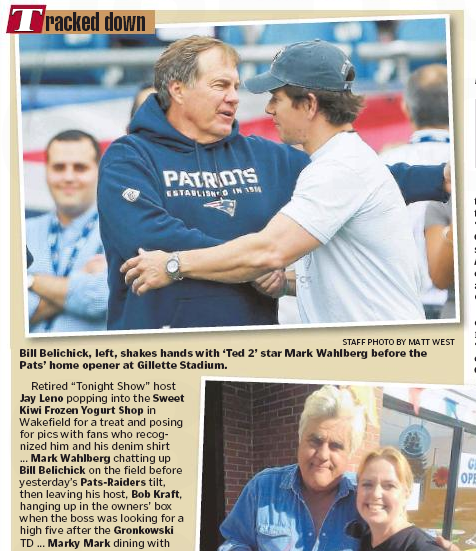 In reporting on the celebrity sighting at Gillette Stadium yesterday, they adopted a Say Cow, See Whatever approach. Huh? Where’s the picture of the hung five? Turns out you have to go to the Globe’s website to see it. Fans got a good laugh when Mark Wahlberg accidentally left Robert Kraft hanging for a high five after the Patriots scored their touchdown Sunday at Gillette Stadium. 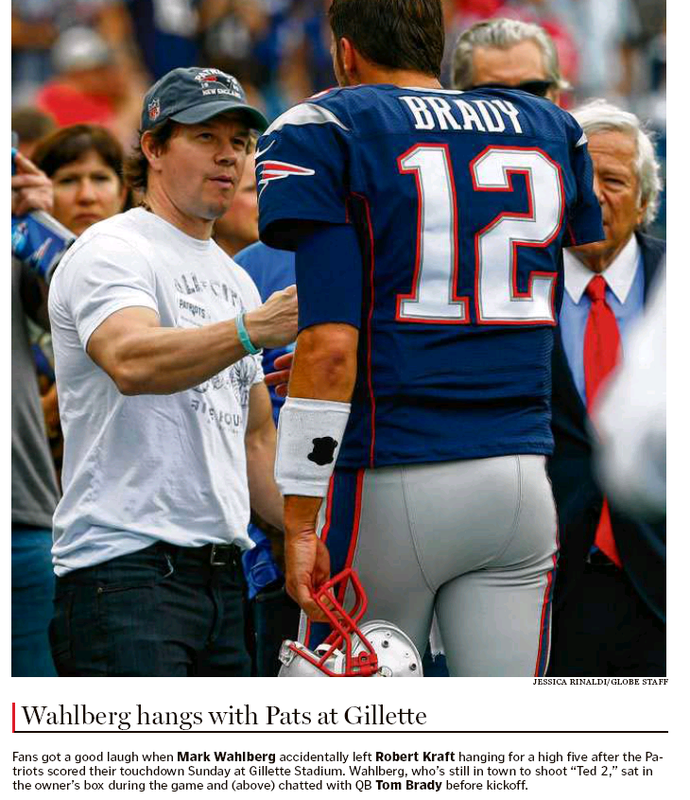 Wahlberg, who’s still in town to shoot “Ted 2,” sat in the owner’s box during the game and (above) chatted with QB Tom Brady before kickoff. Globe print subscribers are welcome to have a cow over the slight. This entry was posted on Monday, September 22nd, 2014 at 3:11 pm and is filed under Uncategorized. You can follow any responses to this entry through the RSS 2.0 feed. You can leave a response, or trackback from your own site.